Our hotel features 2 clay tennis courts, maintained daily in order to offer you the best playing conditions. Hotel La Quiete has two swimming pools, one for adults and one for children, surrounded by a spacious solarium where you can enjoy a cool drink in the shade of palm trees. 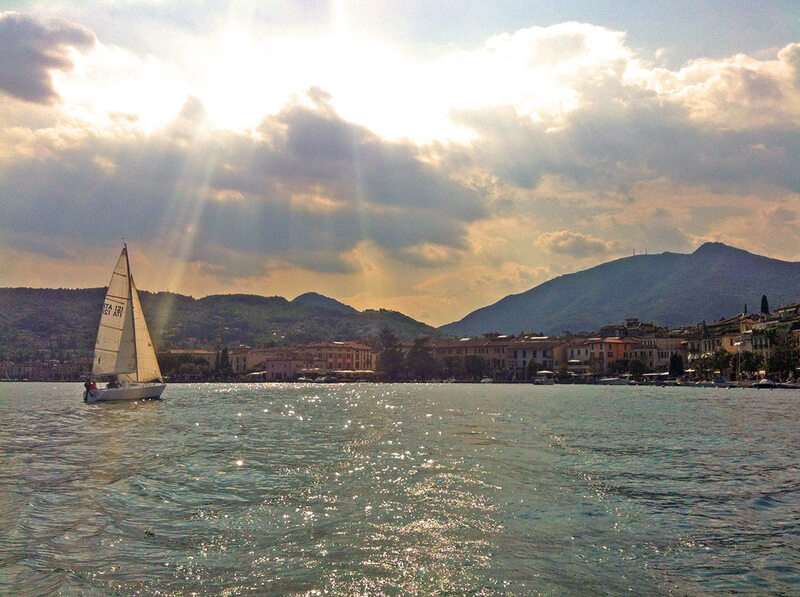 There are number of excellent bike routes and trails around Manerba del Garda. Hotel La Quiete offers first rate facilities for cyclists including a fully equipped bike storage room and many more dedicated services. 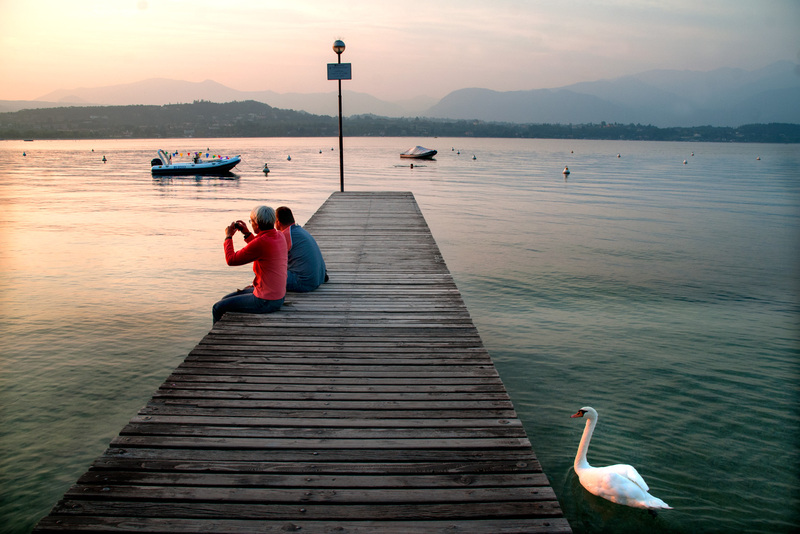 La Quiete Park Hotel is located just a few metres from the lake shore and an attractive pebble beach. It is possible to hire boats at the port or go windsurfing or paddleboarding here. We found La Quiete by chance. We wanted somewhere in the sun but not too busy or noisy. The proximity to the lake, beach, the swimming pool and the onsite availability of cycles and tennis clinched it for us. The price was highly competitive: Excellent Value for Money. The staff are wonderful. The service and attention exceptional. We spend 9 days in this hotel. We had a superior room, with a very large balcony. The room was also large and clean. The food was good and the staff very kindly. With breakfast you could eat outsite. The lake is indeed only 50 meters away. We enjoyed our stay in this hotel. 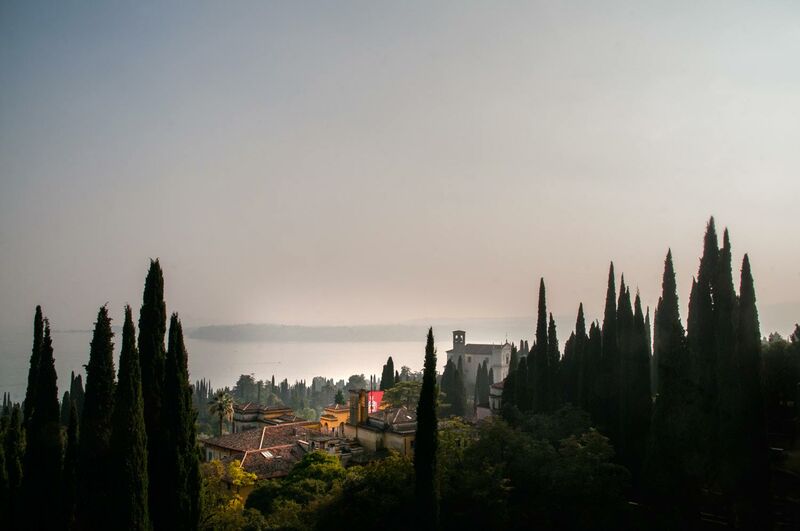 This hotel is ideally situated along a quiet road about 100m from the shore of the beautiful Lake Garda, With its welcoming facade and attractive gardens we were delighted to arrive in such a quiet, peaceful, family-oriented place after a long journey from Scotland. The owner and staff were very welcoming and helpful. 1 Our hotel has been selected for theGarda Bike Hospitality circuit, which offers cycling enthusiasts accommodation with bike facilities, for maximum convenience. 2 BBQ Grill Garden by the pool; enjoy a relaxing à la carte lunch outdoors. It is also possible to organise evening barbeques on request. 3 Our hotel is surrounded by a small park, home to the 40 olive trees that produce our fragrantOlio del Garda olive oil; rows of vines border the tennis courts and the salad comes exclusively from our vegetable garden. 4 Open bar from 10.00am to 5.30pm automatic hot/cold drinks dispensers are available for self service soft drinks and coffee. 5 Manerba del Garda is home to two ports: Porto Dusano (where the ferries depart from) and Porto Torchio; the latter is more lively thanks to a long pebble beach, located just metres from our hotel. A 3 star hotel on Lake Garda, La Quiete Park Hotel offers a warm welcome and relaxing accommodation surrounded by lush green lawns. The hotel is a convenient starting point for a number of walks and bike rides around the local area. Our friendly, professional staff will be happy to provide you with bicycles for excursions and trips around Lake Garda.